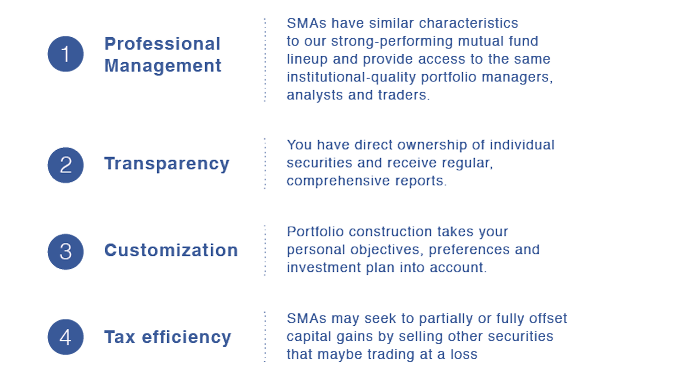 For a more personalized approach to investing, Cohen & Steers’ separately managed accounts (SMAs) allow for greater customization of portfolios and enhanced tax efficiency. Access the potential benefits of owning commercial properties through a diversified portfolio of U.S. REITs and other public real estate companies, hand selected by the Cohen & Steers investment team for their superior growth potential and attractive valuations. Diversify your portfolio with listed REITs and other real estate securities across North America, Europe and Asia Pacific, as well as opportunistic allocations to emerging market property companies. Issued primarily by large banks and other financial institutions, preferreds have historically offered high income rates, and most distributions are taxed as dividends rather than interest, creating the potential for attractive after-tax income and strong total returns. Midstream companies are a unique way to participate in the continued growth of North American energy production, featuring generally stable, fee-based cash flows and inflation-linked income, with a large portion of shareholder distributions historically being tax deferred. Invest in the backbone of the global economy through public companies that own and operate infrastructure assets spanning transportation, communications, energy and utilities, featuring a history of equity-like returns, reduced volatility and resilience in down markets. To access the latest views on market trends and opportunities from Cohen & Steers portfolio managers, visit our insights. Separately Managed Accounts (SMAs) are investment services provided by Cohen & Steers Capital Management LLC (“Cohen & Steers”) an investment advisor registered with the SEC. Risk Disclosure: Investing in the stock market involves gains and losses and may not be suitable for all investors. Investment return and principal value of an investment will fluctuate so that an investor’s shares, when redeemed, may be worth more or less than their original cost. Past performance is not necessarily a guide to future performance or returns. Cohen & Steers provides this material as a general overview of the firm, our processes and our investment capabilities. It has been provided for informational purposes only. It does not constitute or form part of any offer to issue or sell, or any solicitation of any offer to subscribe or to purchase, shares, units or other interests in investments that may be referred to herein and must not be construed as investment or financial product advice. Cohen & Steers has not considered any reader's financial situation, objective or needs in providing the relevant information. This material is not being provided in a fiduciary capacity. Please see each product’s webpage for specific details regarding investment objective, risks associated with real estate securities and other risks, performance and other important information. Review this information carefully and consult with your investment, tax or legal adviser before investing. The value of investments may fall as well as rise and you may not get back your original investment. Cohen & Steers has taken all reasonable care to ensure that the information contained in this material is accurate at the time of its distribution. No representation or warranty, express or implied, is made as to the efficacy of any particular strategy or the actual returns that may be achieved.